Directed by Edgar G. Ulmer. With Tom Neal, Ann Savage, Claudia Drake, Edmund MacDonald. 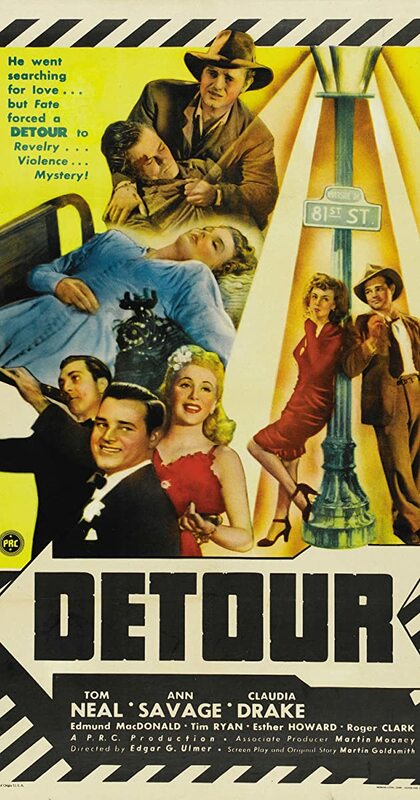 Chance events trap hitch-hiker Al Roberts in a tightening net of film noir trouble.